ABM is here to help with your Chicago mechanical services. We have been serving Chicago since 1915, offer unmatched experience and expertise in Chicago commercial HVAC and mechanical services, and have hundreds of satisfied clients in the Chicago metropolitan area. As one of the largest commercial air conditioning companies in Chicago, ABM offers a broad range of Chicago mechanical services and commercial HVAC solutions -- from equipment retrofits and energy audits to chiller services and controls to preventive maintenance, and more. Our trained Chicago metro-based mechanical services field teams have gained a solid reputation for quality, reliability, efficiency, knowledge, and honesty. 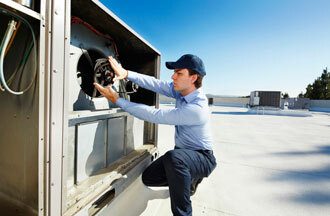 We service more than 500,000 heating and cooling systems each year.